Posted on July 19, 2018 at 2:46 pm. Collingwood Football Club has reached an agreement with the Melbourne Racing Club to sell its poker machines as the AFL giant prepares to leave the gaming industry. Under the arrangement, Collingwood will sell 156 pokies to the MRC, which runs Caulfield, Sandown and Mornington race tracks as well as a handful of other pokies venues in Victoria. 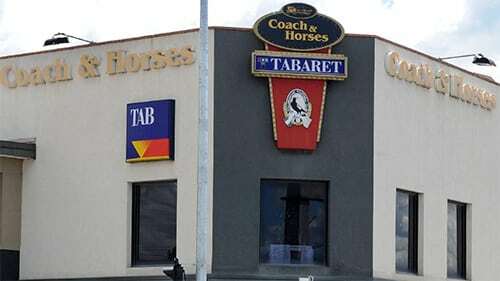 In addition to the machines, the Magpies will also sell their two venues, The Coach & Horses in Ringwood and The Club in Caroline Springs, with the expected settlement to happen in October. Collingwood is making a complete move away from dividends returned from gaming and has already terminated operation of the Magpie Million lottery. Collingwood president Eddie McGuire said the club was well placed to maintain its enviable financial position, despite the decision to cut the pokies. “This is a prudent commercial decision, one that will strengthen the Collingwood balance sheet significantly,” he said. The long-serving Magpies president said the sale would also allow the club to focus on its primary responsibility of being a successful football and sporting club. “Collingwood is in a strong financial position, with net assets of $32 million, and with the continuing support of its members will be in an even stronger position with this sale. It is the right time for Collingwood to be making this move,” McGuire said. With the sale of all its pokies, Collingwood would become the second Victorian club alongside North Melbourne to be pokie-free. Melbourne decided to leave gaming some months back and has since opted not to renew its licence at the Bentleigh Club upon expiration in 2022. Another Victorian club, Geelong, is set to follow suit. However, Essendon is not ready to leave gaming anytime soon. The club is currently in discussion with the City of Melton to extend its gaming presence in the city by renewing its licence after it expires in 2022. As more and more Victorian clubs seek to leave gaming, the president of Hawthorn, Jeff Kennett, has warned of some consequences. He said financial danger awaits clubs leaving gaming without any alternative source of income. The AFL commission chairman, Richard Goyder, has expressed his dislike for pokies and urged clubs to seek other revenue streams.